Father Frank is also pastor at Ste. Anne Parish on Mackinac Island, Michigan. The church, the people, of Immaculate Conception Parish are a strong, faith-filled community centered in Christ and the Eucharist. We welcome friends, relatives, and visitors as we seek God in one another. Our parish began as a mission on March 28, 1888, with land acquired from Mr. and Mrs. Robert Gille and two additional lots donated by Frank Becker. 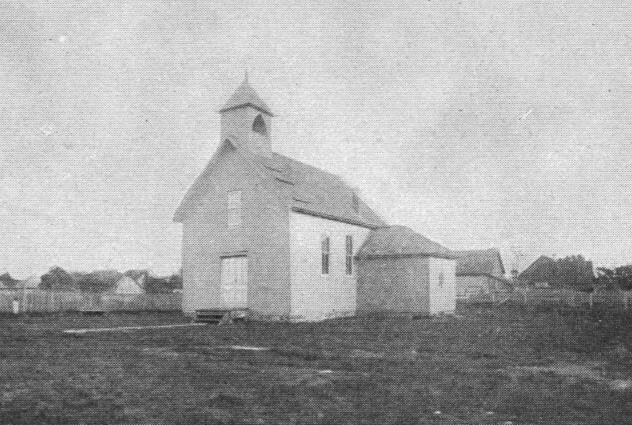 The original "neat little church" built that year, mainly by Mr. Otto Roggenbuck, was replaced in 1903 by a new church located between Duke's Road and the Community Center. Original families in the mission community included the Beckers, Soeltners, Brauns, Luepnitz's, and Roggenbucks. In the early years our mission church was known widely as being dedicated to the Immaculate Heart of Mary and apparently, through at least the 1920's, was called St. Mary's Church, with the name changing to Immaculate Conception sometime later. 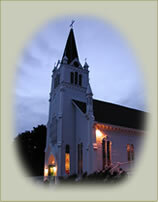 As a mission from 1888 to 1941 our "parish" was initially served from St. Ignace and then from Engadine. Immaculate Conception Church, Moran, was established as a parish on June 20, 1941, with Father Lester Bourgeois as pastor. At that time the following missions were included in Immaculate Conception Church: Trout Lake, Gros Cap, Allenville, Brevort, Carp River, Charles, Epoufette, Ozark, Rexton, Santigo, and Strongs. Of these missions only two had churches: St. Mary's at Trout Lake and Sacred Heart at Gros Cap. The rectory at Moran was purchased by Father Bourgeois. Following Father Bourgeois, subsequent pastors have included: Fathers James McCarthy, C.J. Reinhart, Gervais Brewer, John H. Ryan, Edward Mihelich, Patrick Frankard, Donald Hartman, Kenneth Bretl, Norbert Landreville, David Rocheleau, John Chrobak, Peter Oberto, Raymond Hoefgen, C. Michael Rhoades, James Williams, Allen Mott, and our current pastor Father Pawel Mecwel. Beginning in 1985, Immaculate Conception Parish had to begin functioning without a resident pastor. The respective pastors of St. Ignatius Loyola Parish in St. Ignace have served as our pastors and celebrated Mass with us weekly since that time. "We have learned our faith from the generations before us, and we joyfully pass on our faith to our children." Blessed Mary, Holy Mother of God, pray for us.